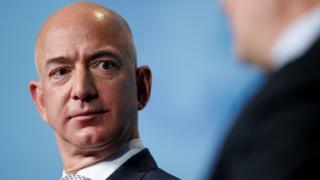 The owner of a US gossip magazine accused of blackmail by Amazon founder Jeff Bezos says that it acted in good faith but will conduct an inquiry. American Media Inc (AMI), the National Enquirer’s parent company, also says it believes it acted lawfully in its reporting on the world’s richest man. Mr Bezos accused AMI of trying to blackmail him over intimate photos. He said the company had wanted him to stop investigating how they had obtained his private messages. Hours after Mr Bezos announced his divorce last month, the magazine had published details, including private messages, of an extramarital affair. In a stunning blog post on Thursday, he posted an email he said had been sent to his intermediaries by AMI lawyer Jon Fine threatening to publish photos of him and his lover, former TV host Lauren Sanchez. The billionaire, who also owns the liberal Washington Post newspaper, said AMI had wanted him to make a “false public statement” that the National Enquirer’s coverage of him and his mistress was not politically motivated. Mr Bezos included an email in which, according to Mr Bezos, Mr Fine proposed on Wednesday that the photos would not be published in return for a public statement “affirming that [Mr Bezos and his team] have no knowledge or basis” to suspect such a motive. Mr Bezos’ own investigator had, he claimed, suggested earlier that there were indeed “strong leads” to suspect political reasons. In his blog post, Mr Bezos mentioned AMI’s links to President Donald Trump. It said the company believed “fervently that it acted lawfully in the reporting of the story of Mr Bezos”. AMI said that it had been “in good faith negotiations to resolve all matters with him” when the allegations were made, and that its board had “convened and determined that it should promptly and thoroughly investigate the claims”. Why did Bezos mention Trump? He said his ownership of the Washington Post was a “complexifier” for him because he had made enemies of “certain powerful people”, including President Trump, who is a friend of AMI’s boss, David Pecker. Mr Bezos noted in his blog post how the publisher had confessed to a “catch and kill” deal to bury Karen McDougal’s politically embarrassing story. 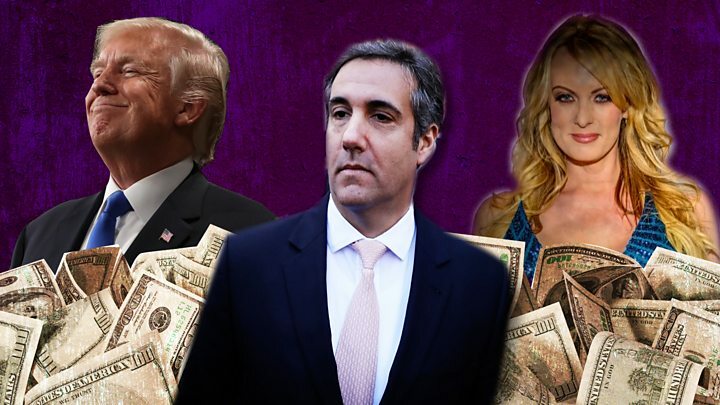 A judge confirmed in a court filing on Thursday that federal prosecutors in New York were still investigating campaign finance crimes committed when Cohen paid two women to stay silent about alleged affairs with Trump before he became president. His blog contained itemised details of 10 pictures in an email from National Enquirer editor Dylan Howard, who said they had been “obtained during our newsgathering”. The tabloid labelled it “the biggest investigation in Enquirer history”. This has been the focus of Mr Bezos’ private investigators. The inquiry has been led by Gavin de Becker, who is the billionaire’s long-term head of security.